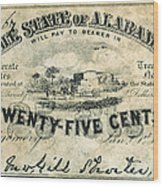 There are no comments for Confedrate Currency. Click here to post the first comment. CONFEDRATE CURRENCY. 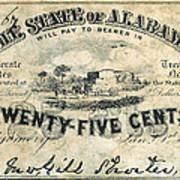 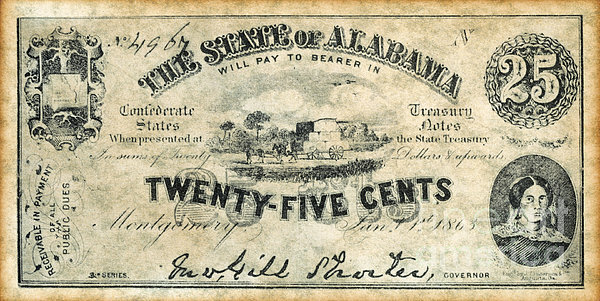 Banknote for 25 cents issued at Montgomery, Alabama, 1 January 1863.